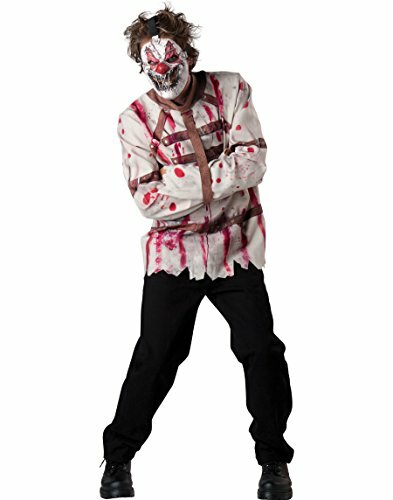 Forum Novelties Straight Jacket makes a great costume or accessory - for all those crazies around you! 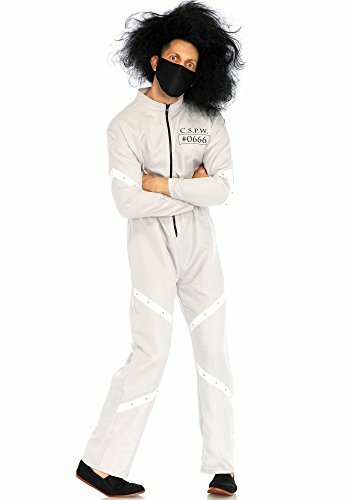 With your arms tied in front, this straight jacket will keep you from hurting yourself or anyone who comes within your reach. 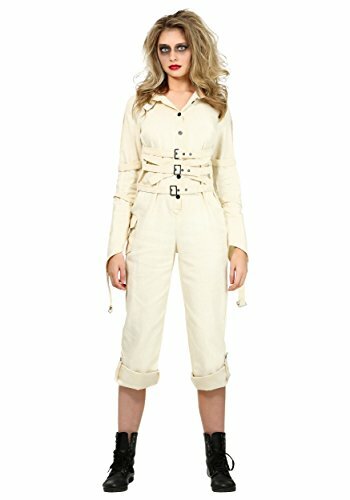 Not only is our straight jacket a great addition to your adult mental ward patient or prisoner costume, but it makes a creative accessory for any Hannibal Lector costume. Keep your inner psycho under control. Look to Forum Novelties for all your Halloween, Luau, Easter, Mardi Gras, and St. Patrick's Day supplies. They've come to take you away at last, but you've escaped! Too bad you can't get that darn straight jacket off. Includes the white jacket with strap and buckle Detailing and a warning print on the back. Pants Available separately. Great as a couples costume with your lady dressed up as a Doctor or nurse!